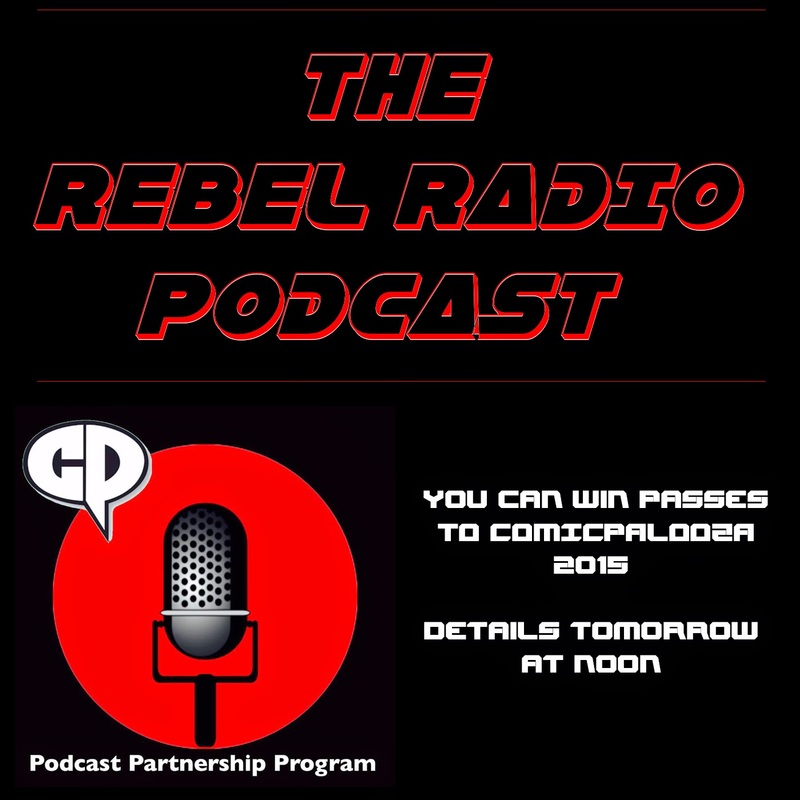 The Rebel Radio Podcast & Trust Me I'm A Jedi are proud to be part of the 2015 Comicpalooza Podcast Partnership! Get your tickets to Comicpalooza 2015 right here and save with coupon code HoustonNerdsUnite2015. Follow Comicpalooza on Facebook and Twitter! We will have a giveaway to win tickets to Comicpalooza! Details tomorrow at Noon! Stay tuned!